OK, kids, who’s ready for an animated version of “Fear and Loathing in Las Vegas”? 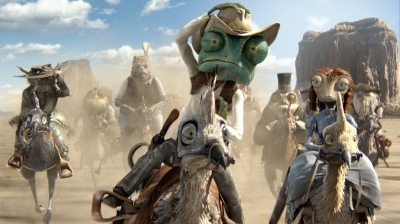 Ready or not, you’re getting it in Nickelodeon-ILM’s seriously strange “Rango,” which is populated by the kind of reptilian creatures that could only slither from Hunter S. Thompson’s zonked-out subconscious. 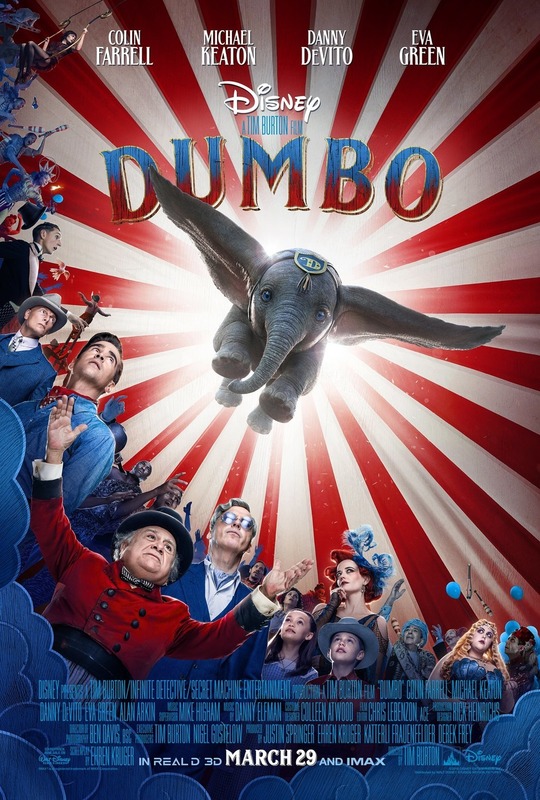 The parallels continue: Johnny Depp, who played the certifiable Thompson in “Fear and Loathing,” returns to a Nevada of hallucinogenic snakes and lizards to voice Rango, the pop-eyed, noodle-necked chameleon hero who initially sports a very Thompson-like Hawaiian shirt. Left high and dry in roadkill country, the self-anointed gunslinger-turned-sheriff falls in with a scrappy filly named Beans (Isla Fisher) and, together, they clean up the town of Dirt, which, thanks to the crooked mayor (Ned Beatty), is facing a serious water shortage. The question before us: For whom is this blend of spaghetti Western and “Chinatown” meant? Certainly not the Nickelodeon Rugrats set. A comparison of the rootin’-tootin’ dream sequence in “Toy Story 3” to any three minutes of this gonzo exercise in computer animation suggests that we’re no longer in Monument Valley or, for that matter, Pixar-land. Before you round up the family and mosey on over to the nearest megaplex, know that “Rango” is not kid’s stuff. It’s for the rabid film buff whose taste in entertainment runs to the bizarro side. Billed by a strolling mariachi band/chorus as a “strange and bewildering tale” of bravery and sacrifice, “Rango” certainly lives up to its hype. Besides the aforementioned Thompson ties, it fuses Dali surrealism, film noir (Beatty’s corrupt mayor is modeled on John Huston’s character in “Chinatown”), “Don Quixote” (for Alfred Molina’s quixotic armadillo) “Star Wars” and “Apocalypse Now” (for a batty canyon chase set to “Ride of the Valkyries”), Peckinpah’s “Ride the High Country” (for the dysfunctional family of mole varmints), and, most notably, Sergio Leone’s famously over-the-top Westerns. Rango’s saloon entrance is staged like the train depot opening in Leone’s “One Upon a Time in West,” right down to the deep-focus compositions, squeaky windmill and blasts of harmonica. Later, the Spirit of the West materializes to remind Rango, “It’s about the deeds … No man can walk out on his own story.” The desert apparition, in sombrero and serape, looks and sounds a whole lot like the grizzled Man with No Name, a.k.a. Clint Eastwood. The Spirit assures Rango he’s still alive and this isn’t heaven. “If it were,” he adds in that distinctive rasp, “we’d be eating Pop-tarts with Kim Novak.” Pop-tarts? Kim Novak? Goofy to a fault, “Rango” is a collaboration of Industrial Light & Magic’s hip new team of animators, director Gore Verbinski (the inspired “Mousehunt” an three “Pirates of the Caribbean” movies), and screenwriter John Logan, who, with “Gladiator” and “The Aviator” to his credit, obviously has a deep affection for old movies. After a while, as they did in the “Shrek” sequels, the in-jokes and double entendres become enervating. Rango outlasts his welcome by, oh, about 20 minutes. But who’s gonna tell the green guy who sometimes resembles Kermit the Frog to leave town on the next stage? “Not I,” said the cowardly critic. Nice blog. Rango is basically one giant homage to all the great westerns, from the spaghetti west of Sergio Leone to the comedic parodies of Bob Hope. Great blog to read with an interesting movie reviews. Awaiting for your new movie reviews.